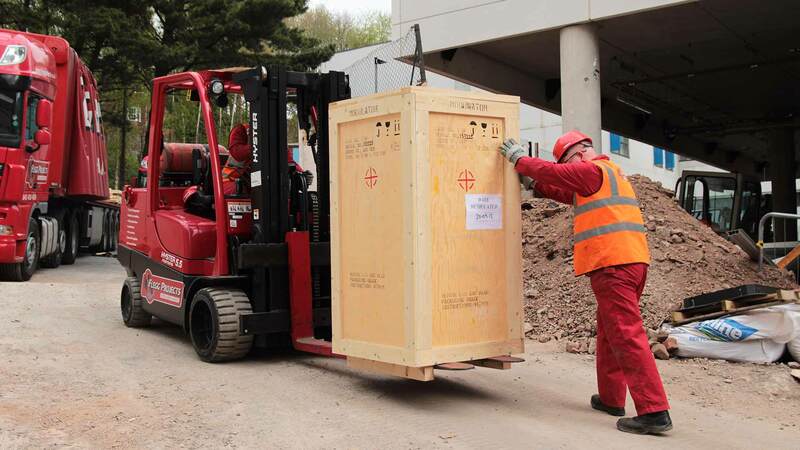 Flegg Projects was approached by a world-leading science organisation to arrange the shipment of sensitive research equipment from their UK campus to a secure scientific research facility in Europe. In line with government protocol, a formal tender process was initiated and was open to all European machinery moving and transport organisations. Flegg Projects were successfully awarded the contract to complete the move, due to their experience, safety record and their freight liability (of over £5 million). 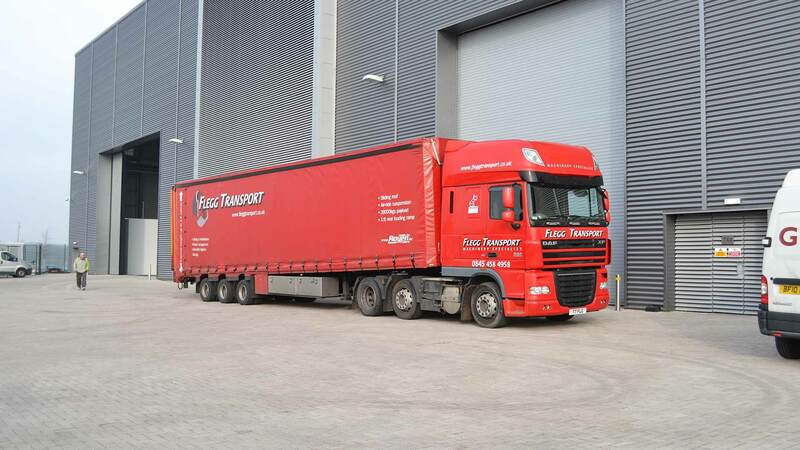 Whilst the ‘cargo’ was lightweight compared to the usual loads that Flegg deal with, the equipment was very sensitive and valuable – factors that needed careful consideration. Given the delicate and valuable nature of the equipment, all the items were expertly export- packed prior to loading onto Flegg’s transport vehicles. Flegg Projects appointed a packing specialist to undertake the packaging tasks, supported by their own experienced lifting and handling team. The equipment was housed in a clean-room environment therefore needed to be carefully extracted to ensure the environment was not contaminated in any way. The transportation from the campus to the final equipment destination was completed using Flegg’s vehicles, which ensured that Flegg Projects could track their movement and have visibility on the location of the vehicles throughout the transit – a requirement of both the client and the insurance underwriters. There were significant risks involved in the move, meaning that Flegg Projects had to ensure that no parts were damaged, as this would result in a longer lead-time, which would affect the research programme and result in possible cost penalties for Flegg themselves. Due to their understanding of the brief; effective project management; utilisation of their most experience team and specialist packers, the project led by Flegg Projects went completely to plan and was delivered to the new campus location, within the budget and without any damage.